This is a great tool to streamlining the work involved with owning a business, helping entrepreneurs pay the right taxes, record financial transactions, and keep their businesses on track and growing. It was created after watching a number of small businesses, struggle to capture business deductions, often piecing together different solutions. Believing business owners spend too much time and effort on the least enjoyable part of running one’s own business, the goal of developer is to make it simple, helping entrepreneurs track all of their income and expenses to get their taxes done accurately. The current Outright.com service is free to all customers and will remain so. 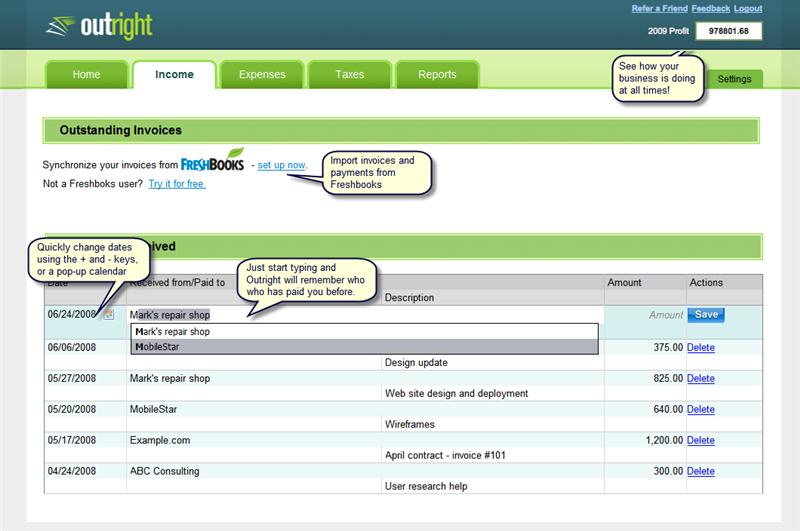 Right now, Outright is designed for the US tax system but they are hoping to add support for more countries as well. Free Webtool to get Tracking and clicks of your marketing campaign.